If you’ve been looking into property investment, chances are you’ve come across the term “rental yield”. As an investor, it is an important concept to understand in order to assess the potential income and cash flow of an investment property. Rental yield is the rate of income return over the cost associated with an investment property, typically expressed as a percentage. It’s a frequently used metric in property data, and it’s important to understand how it is calculated and what it actually indicates. There are 2 types of rental yields, gross and net. It’s important to understand the difference and how each of them are calculated. To work out the gross rental yield, you need 2 key figures – the annual rental income and the property value. Property value = could be purchase or market value, depending on whether you are looking at the current performance, or future prediction. For example, a property that was purchased for $390,000 and returns a weekly rent of $500 would have a current rental yield of 6.67%. However, if the current market value of the property is $600,000, and the rental income remains the same, then the potential rental yield would be 4.33%. It’s important to understand that current or historical rental yields are not necessarily accurate indicators of future performance, especially in a heated property market where prices are soaring but rental prices are stalling. Also, gross rental yield does not take into account any expenses associated with keeping the property. So, a property with high rental yield but also high expenses may actually result in a low net rental income. Calculating net rental yield requires a lot more factors – known or estimated – but it’ll also give you a more accurate prediction of rental return. Add up all of the property costs to get a total property cost figure. Add up all of the expenses throughout the year to arrive at a total annual expenses figure. Using the property in the previous example, where the purchase cost was $390,000 and the weekly rent was $500, if this property’s overall cost of purchase was $430,000 and the annual expenses are $4,500 then its current net rental yield would be 5%. This is significantly lower than its gross rental yield of 6.67% and may greatly affect your assessment of its value. The more factors you can include in the calculation, the more accurate the resulting rental yield figure will be, but it can be difficult to get an accurate estimate of all of the associated expenses. There are a myriad of tools and softwares available in the market for property investors. If you’re after a more accurate depiction of rental yields, cash flow and capital growth etc., you may wish to consider purchasing property investment analysis tools and software. What’s considered to be a ‘good’ rental yield? If you’re just looking at gross rental yield, then there’s really no such thing as a ‘good’ rental yield as the costs and expenses are missing from the calculation. A property with a low rental yield but also low expenses could end up giving a higher rental return, than a property with high rental yield and high expenses. With net rental yield it’s safer to say that the higher the rental yield, the better the rental return, but it’s difficult to give an exact figure for a ‘good’ rental yield, as that can vary depending on individual circumstances. How important is rental yield? 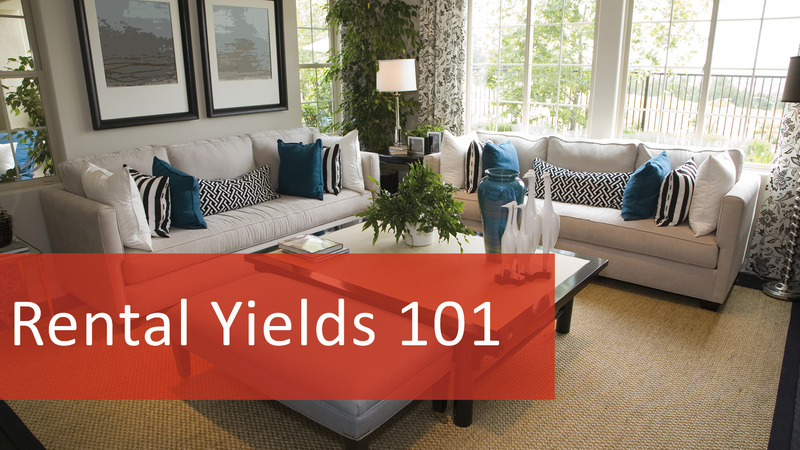 Rental yield can be helpful in determining the potential value and return of an investment property. However, gross rental yield is not a very accurate indicator as costs and expenses are not factored into the equation; and net rental yield is often based on many assumptions and factors beyond your control, such as vacancy periods, mortgage interest rates and maintenance costs which can be highly volatile and impact the rental return significantly. So while it’s important to take into account the rental yield, it should be used as an indicator only, together with other key factors such as location, aspect and potential capital gain, in assessing the overall return and value of an investment property.